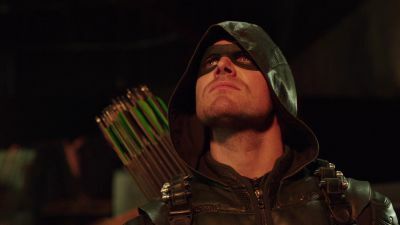 Here's where to watch every episode of Arrow season 4. Mouseover or tap an episode to see where to stream it. Click or tap the play icon to stream it on the best available service. 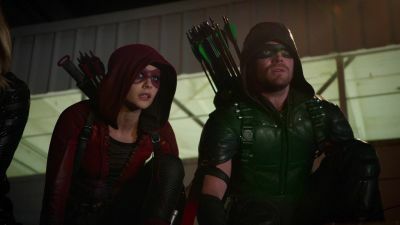 Green Arrow Oct 8, 2015 Oliver and Felicity’s blissful getaway is cut short when Thea and Laurel pay them a visit and tell Oliver they need his help back in Star City. The city has been attacked by Ghosts, assassins led by a dangerous man named Damien Darhk. However, when Oliver returns, Diggle makes it very clear that he doesn’t want Oliver on the team. The Candidate Oct 15, 2015 Oliver and Thea are concerned when a family friend plans to run for mayor. Thea starts to exhibit side effects from the Lazarus Pit. Felicity asks an employee for help with a business decision. 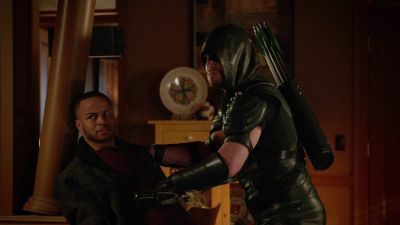 Restoration Oct 22, 2015 The growing tension between Oliver and Diggle puts both their lives at risk when they go after Damien Darhk and a H.I.V.E. deployed meta-human. Meanwhile, Laurel talks Thea into returning to Nanda Parbat to ask her father to put Sara into the Lazarus Pit. However, Laurel is surprised when Nyssa refuses to do it. Beyond Redemption Oct 29, 2015 Laurel must deal with the repercussions of taking Sara to Nanda Parbat. Meanwhile, Oliver asks Captain Lance for a favor and while he's not surprised at the response, he is surprised at what he finds out next. Haunted Nov 5, 2015 When things take a turn for the worse with Sara, Oliver calls in a favor from an old friend who deals in the mystical, John Constantine. Lost Souls Nov 12, 2015 Felicity is frantic when she learns that Ray is alive and being held by Damien Darhk. Felicity's guilt over not finding Ray sooner causes tension between her and Oliver. 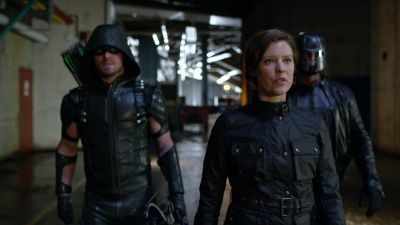 Meanwhile, Sara joins Laurel, Thea, and the team on a rescue mission for Ray. However, the effects of the Lazarus Pit take over and threaten to jeopardize the entire operation. Donna Smoak returns to Star City. Brotherhood Nov 19, 2015 Team Green Arrow's ongoing battle with Damien Darhk is complicated by a shocking revelation. Thea's bloodlust returns and she loses control in front of Alex. 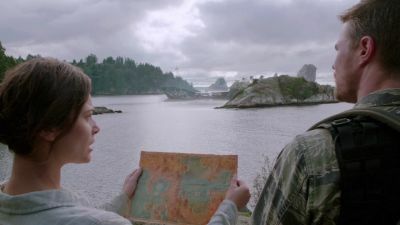 Legends of Yesterday (2) Dec 3, 2015 Oliver and Barry Allen take Kendra Saunders and Carter Hall to a remote location to keep them hidden from Vandal Savage while they figure out how to defeat him. 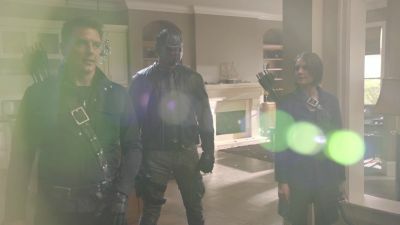 Malcolm arranges a meeting between Vandal, Green Arrow and The Flash that doesn’t go as planned. 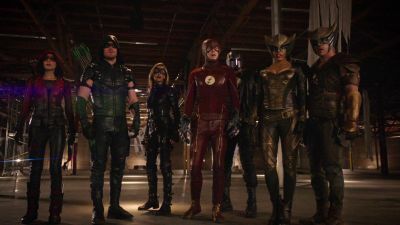 Meanwhile, Felicity, Thea, Diggle and Laurel work with Team Flash to come up with a weapon powerful enough to destroy Vandal Savage. Dark Waters Dec 10, 2015 After the city is attacked again, Oliver makes a bold move against HIVE. Malcolm checks in on Thea and leaves her with a warning. 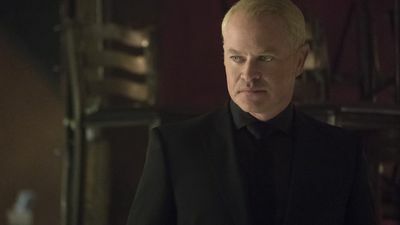 Things take a horrible turn when Damien Darhk retaliates in a brutal manner at Oliver’s mayoral holiday party. Blood Debts Jan 21, 2016 Oliver must deal with the devastating consequences of Darhk’s last attack. Seeking revenge, Oliver goes on a brutal manhunt looking for Dahrk. A.W.O.L. 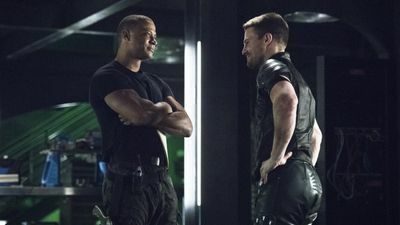 Jan 28, 2016 Diggle must learn to trust his brother Andy when an enemy of their wartime past, an agent of the criminal organization Shadowspire, pays a visit to Star City. 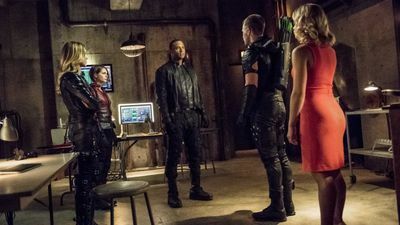 However, Diggle learns more than he bargained for about their shared time at war. Meanwhile, Oliver has to learn a whole new way of life. Unchained Feb 4, 2016 The team faces off against a formidable villain nicknamed The Calculator. 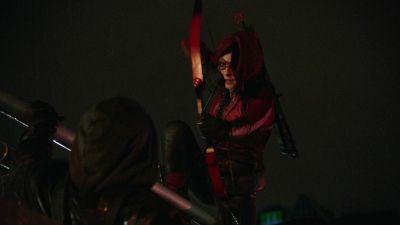 Meanwhile, Nyssa makes her move and Roy Harper returns to Star City. Sins of the Father Feb 11, 2016 Oliver receives an offer from Nyssa that is hard to refuse. Meanwhile, Thea continues to battle the blood lust, Malcolm steps in to help his daughter, and Laurel has a heart to heart talk with Nyssa. 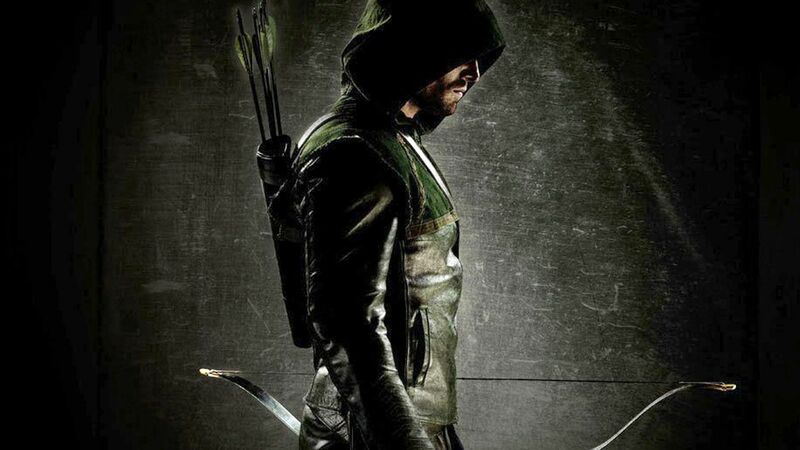 Code of Silence Feb 18, 2016 Oliver and team uncover HIVE’s plan to take out Team Arrow once and for all. With HIVE’s next attack imminent, Lance wonders if Donna is safer without him in her life. Meanwhile, with the wedding fast approaching, Oliver begins to feel guilty that he hasn’t told Felicity about his son. Taken Feb 25, 2016 Oliver realizes he needs help battling Darhk so he calls in an old friend – Vixen. Using her magical ability to summon animal powers, Vixen gets a lock on Darhk's location and the team goes to war. Meanwhile, Thea has a heart-to-heart talk with Malcolm. Broken Hearts Mar 24, 2016 A heartbroken Cupid returns to Star City with one goal – to destroy anyone in love. The team learns she’s killing couples on their wedding day so Oliver and Felicity decide to pose as bait. Beacon of Hope Mar 31, 2016 Brie Larvan breaks out of jail and turns up at Palmer Tech threatening to kill everyone unless she gets the bio-chip that is implanted in Felicity’s spine. 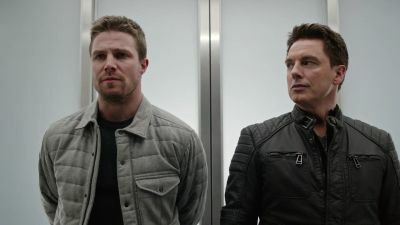 When Oliver realizes that Felicity, Thea and Donna are trapped in Palmer Tech with everyone else, he looks to a surprising ally to help Team Arrow save the day. 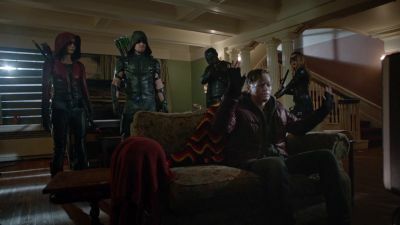 Eleven-Fifty-Nine Apr 7, 2016 Oliver and Diggle learn that Merlyn is going to try to break Darhk out of prison. Meanwhile, Laurel gets a surprising offer and Felicity has a heart-to-heart talk with Curtis. Canary Cry Apr 28, 2016 Oliver and the team struggle to come to terms with Laurel’s death, especially Diggle who is overwhelmed with guilt for choosing to believe Andy had changed. Meanwhile, Lance refuses to believe his daughter is really gone and asks Nyssa to help bring her back. 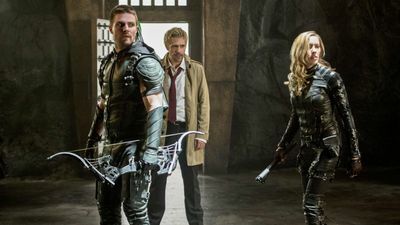 A recent Black Canary sighting in Star City only seems to prove his theory that Laurel isn’t actually dead. 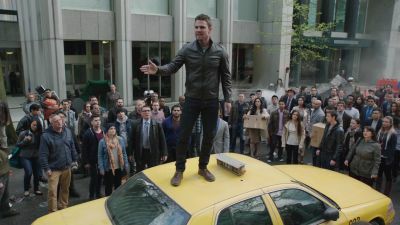 Genesis May 5, 2016 As Oliver and Felicity look for a magical solution to defeat Darhk, a vengeance-driven Diggle gets a lead on Andy’s whereabouts and heads off to confront his brother. Meanwhile, Alex takes Thea on a vacation that quickly turns into a nightmare. 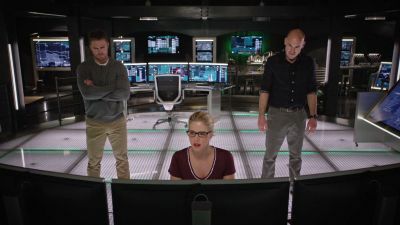 Monument Point May 12, 2016 When Team Arrow learns what Damien Darhk's next move is Felicity realizes she needs to ask her father, Noah Kuttler, for help. Noah and Oliver have a heart to heart talk that leaves Oliver rattled. 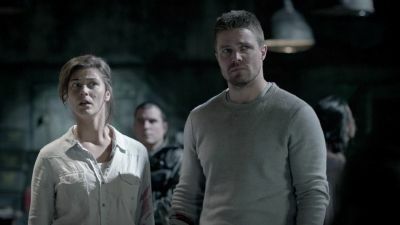 Lost in the Flood May 19, 2016 Following the shocking events in the previous episode, Oliver and Diggle race to rescue Thea, while Felicity, Curtis and Noah join together to stop Darhk. 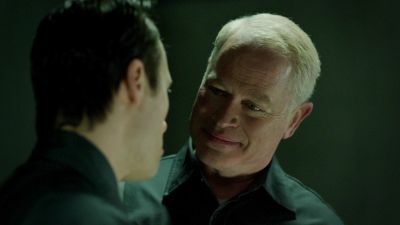 Schism May 26, 2016 Oliver teams up with a surprising force in an attempt to stop Damien Darhk and his magic once and for all.